Having operated from Harrow, Pinner and Hampstead for 40 years, here at CJS Removals we have a wealth of experience in European removals. Our team will coordinate every part of your move from packing up in the UK to unloading into your new home abroad. When moving to Europe, there are plenty of factors to consider, and these removal issues can distract you from getting settled and ensuring you look after your family and loved ones. 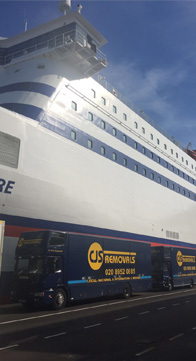 We conduct regular Europe removals using our personal fleet of vehicles – all of which are kitted out with GPS – to ensure our customers get directly from their old home to the front door of their new one without leaving anything behind. CJS Removals offers you a comprehensive removals service with everything taken care of, from packing to storage. 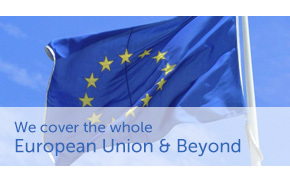 Contact us today if you’d like to discuss your plans with us or ask us any questions about our European removals services. We have a dedicated and friendly team who will be happy to advise you and help you when considering moving to the continent.